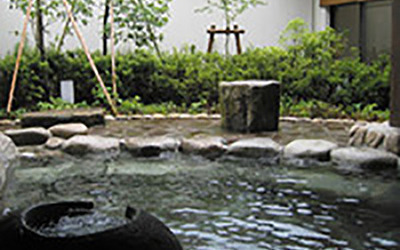 DISCOVER TAJIMA >Hot Springs	>Yumura Onsen "Yakushi Yu"
Enjoy hot spring water pumped directly from the spring at Yumura Onsen for a reasonable price. Bring your favorite bath set and enjoy the baths. The alkaline in the spring acts like a skin moisturizer, removes old skin and cleans your pores. Reset your mind and body, restoring your energy and strength for tomorrow. There is also a place where you can make your one hot spring egg “onsen tamago”. Boil the egg in the hot spring water for about 40 minutes for a creamy soft boiled egg.